Ahhh… the phrases I am seeing in the ads when people are selling a complete hunk of crap. I bought the last restoration candidate knowing I was going to do a full rebuild but the owner’s ad and conversations were trying to sell me on the fact that the bike could run with an afternoon’s worth of work. WRONG. I found all sorts of surprises when rebuilding that engine (and elsewhere throughout the bike). The bike was an R75/5. 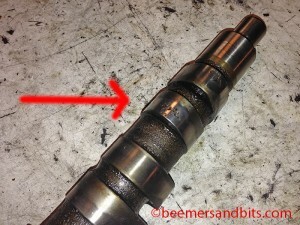 One issue was a deep in the engine when taking out the cam shaft. The lobes were severely pitted rendering the cam useless. 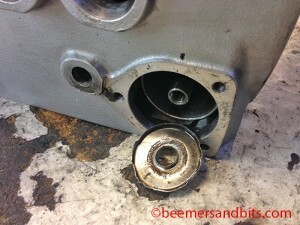 The bike still would run but doing a complete rebuild was necessary to make this bike ‘right’. 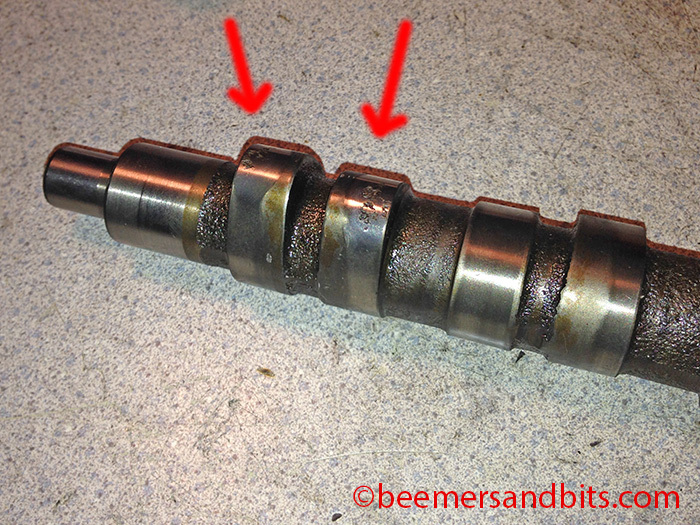 I have a stash of spare parts and happened to have an extra cam shaft lying around. Here are some photos of the bad cam. If you ever get this deep into the engine block (or at least have the cylinders off), take a look at the cam lobes. If they are pitted, the lifters probably need replacing too. Here is a simple oil filter change fault. 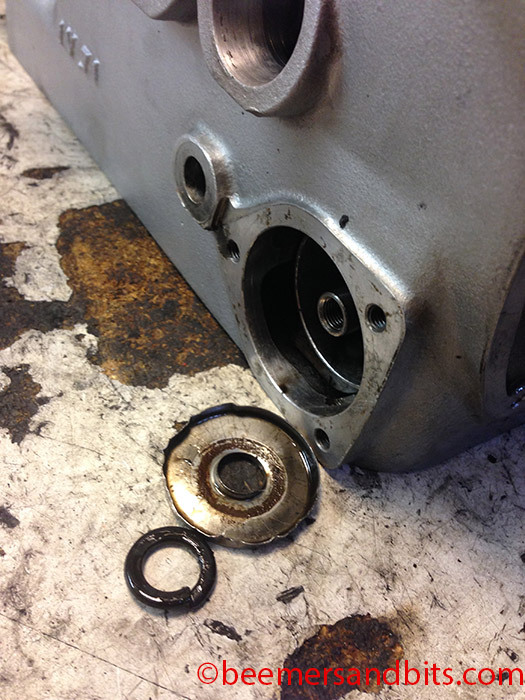 If you don’t know the history of the bike, it is good to do a complete fluid change as soon as possible. When replacing the oil filter, make sure that the entire old oil filter comes out. In this case, the gasket and end of an old oil filter were jammed into the rear of the oil filter galley. I’m assuming that an old filter got removed, those parts were left inside, and new filters were installed on top of them, thus jamming them in there even further. It took me nearly 20 minutes to devise chopstick like tools, with hooks on the end, strong enough to pull this stuff out. Just another reason that the used motorcycle market is overpriced on 30-40 year old machines. Unless you know the bike has ZERO issues like this deep down inside, the cost of repairing these motorcycles is much too high compared to the asking prices these days ($4000 for an old Honda? why?). In addition to the engine needing a rebuild, the steering bearings were rusted (which is dangerous), the splines and driving dog were almost gone on the final drive and rear wheel, and LOTS of other repairs were necessary. Again, I planned on doing all the repairs anyway but beware of the “Just needs a battery and a tune up” ads.